When someone thinks of Silicon Valley, they think high-end, high-tech industries, and not for nothing. It is considered, after all, a global hub for all things innovative, including social media, venture capital, and technology. As such, this geographical area is closely associated with H-1B visas, which are intended for such specialized fields as technology. The region is therefore viewed as something of a testing ground for business attitudes toward evolving immigration policies. Reports show nearly 71 percent of Silicon Valley tech employees are foreign born, but current developments point to a cloud of ambiguity hanging over the subject of immigration in this area. There’s been no shortage of backlash from Silicon Valley in relation to recent embattlement for the Deferred Action for Childhood Arrivals (DACA) program. In fact, such tech heavyweights as Mark Zuckerberg (CEO of Facebook), Bill Gates (Microsoft founder), Reid Hoffman (LinkedIn co-founder), and Drew Houston (Dropbox founder) helped found FWD.us, a tech lobbying group that "supports a comprehensive legislative fix to our broken immigration system" and highlights the dreamers affected by it. FWD.us has focused on immigration reform first because America’s broken system prevents far too many talented immigrants from fully contributing to our communities and our economy. FWD.us recently released a report entitled The Case for Protecting Legal Immigration Against Recent Attacks, and it details their stance on DACA’s precarious position, as well as how immigration restrictions negatively impact the competitive advantage currently held by the United States. It also suggests that a large portion of the tech community is in support of DACA and other immigrant hopefuls. While tech heavy-hitters have come out in full defense of effective immigration reform, that’s not the end of the story. The press reports that back in March, just before the H-1B filing season opened on April 2, posters denouncing H-1B visas began going up in Bay Area Rapid Transit (BART) stations and trains (one of the busiest systems in the nation). Trump’s Buy American and Hire American executive order emphasizes the administration’s push to clamp down on what it sees as H-1B (and other forms of work visa) fraud. 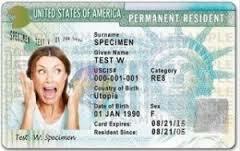 Further, it touts protecting the interests of U.S. workers and seeks to ensure H-1B visas are awarded only to beneficiaries who are the “most skilled” and the “highest paid.” With this Order, the H-1B visa program has become a lengthier and more costly process with more uncertainty built in. The USCIS is also implementing more challenges to employers who employ H-1B workers, which serve to delay and sometimes deny visa issuance. Further, the Trump administration has stated they want to do away with the rule that allows spouses of H-1B visa holders to work in the United States. The fact that the number of H-1B applications in 2018 went down for the second year in a row is likely evidence the process has become much more difficult for immigrant hopefuls, and fraught with uncertainty. According to 2018 San Francisco Immigration Trends, employers in the San Francisco area have actually become somewhat less dependent on foreign national workers than the nation at large. The report finds that 82 percent of employers in San Francisco are adjusting their hiring techniques per the current immigration system in the U.S., and 33 percent are hiring fewer immigrants to fill their job force. While the poll shows the rest of the country to be maintaining a demand for foreign national employees, it appears a decent sized number of San Francisco’s employers are turning in a different direction and not utilizing FNs quite as much as before. The tech community, which is cradled in Silicon Valley, is highly vocal about its support for DACA and about protecting U.S. immigration from what it sees as recent attacks. 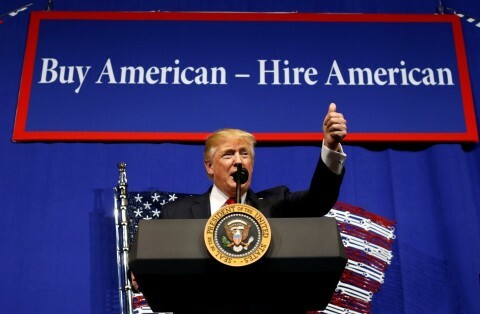 Silicon Valley, however, isn’t without its share of detractors – vis-à-vis the poster campaign – who would like to tighten up visa reform and make it more difficult for employers to hire H-1B workers. While the Bay Area is recognized as the epicenter of all things tech, the recent report out of San Francisco nevertheless finds its relationship with H-1B workers somewhat less fervent than the nation’s at large. 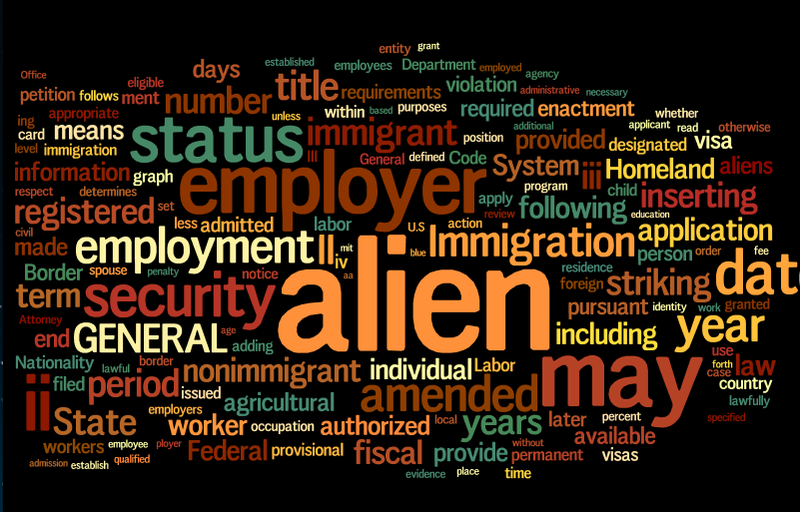 The current administration is moving immigration issues in a decidedly more conservative direction, and many employers and foreign nationals alike are left wondering what’s to come. Only time will tell how this plays out in Silicon Valley.